I think that Melon Mambo could be my favourite colour, after Lemon Lime Twist of course! 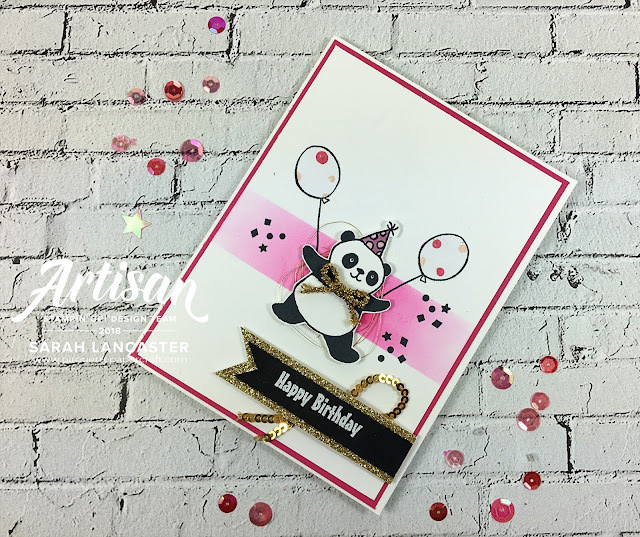 Back again with the Party Pandas! This is a set you can earn for free during Sale-a-bration. 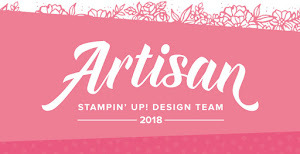 Spend 60€/£45 in my Stampin' Up! online store and get this stamp set for free! To create my card first I masked off an area and then I used my Sponge dauber to blend out some ink. Then I worked out where my Panda was going to sit and stamped the two balloons (borrowed from another Panda in the stamp set). 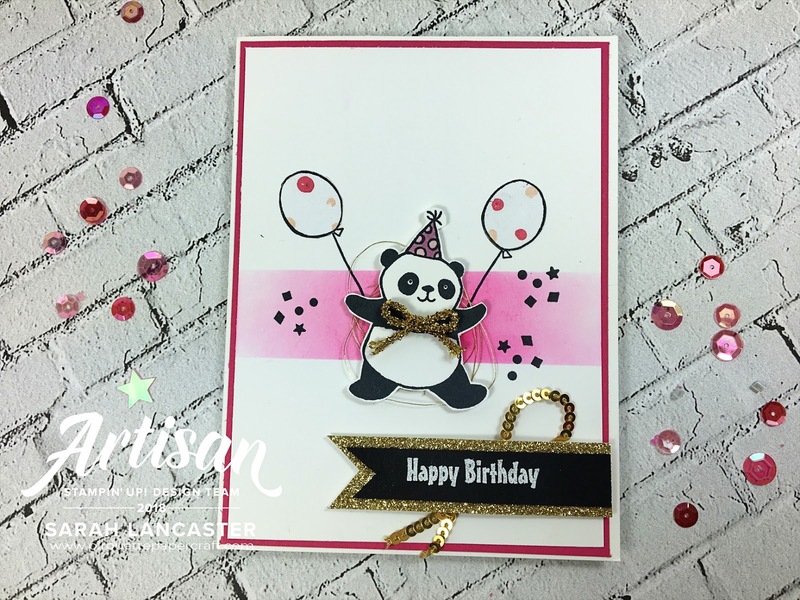 Then I stamped the balloons on Painted with Love DSP, cut them out and pieced them into my stamped balloons. Do you like my little Panda's bow tie? He's definitely ready to party ! !